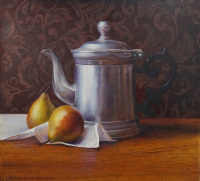 Bio: The paintings of Janeen Schissler reflect not only her technical mastery, but career accomplishment as a practicing artist. Janeen's work has been featured in both solo and group exhibits throughout the United States and Canada, including the National Museum of Wildlife Art in Jackson Hole, Wyoming. 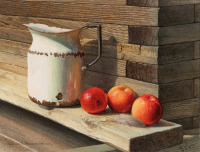 Both private collectors and corporations own Janeen's work, most recently those of Idaho Forest Industries, Coeur D'Alene Mines, and Leaning Tree Inc. Teaching art grew into Janeen's passion, and began coming to fruition for Janeen in 2008 when she began her second career as the director of "The Studio" art school in Bellevue, Washington. 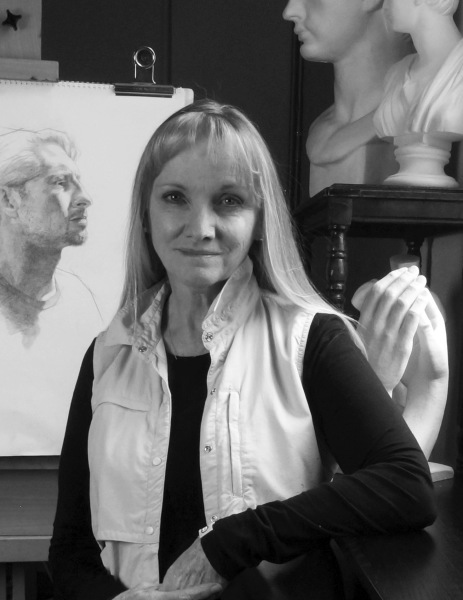 With thirty years of experience as a practicing fine artist and instructor, Janeen developed her own curriculum emphasizing classical instruction and methods. 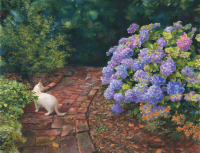 She and her husband Steve opened the Schissler Academy of Fine Arts in 2011 and Colorado Fine Art Supply in 2013.